Painting has the Painter Extraordinaire Aspiration and the Painter Career (Master of the Real and Patron of the Arts branches). 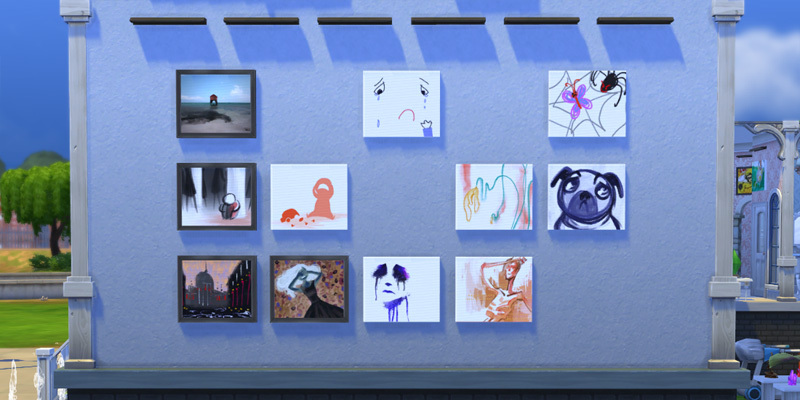 Completing Painter Extraordinaire makes you Expressionistic, allowing you to create Emotion Paintings regardless of your current mood. You still need to be Focused to paint a Mathematical Diagram. It also unlocks all emotion books for the Writing skill. ♥ Art Lover – Gain Inspired +2 by Admiring a Work of Art. ♥ Perfectionist – Paintings take longer but are of higher quality. 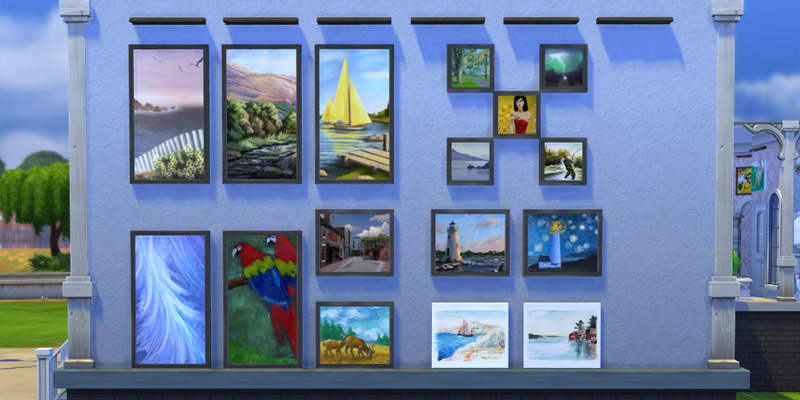 ♥ Paintings no longer raise in value when you keep them in your house. They will raise the cost of your bills. ♥ You can no longer tell if a painting is a Masterpiece before it is completed. 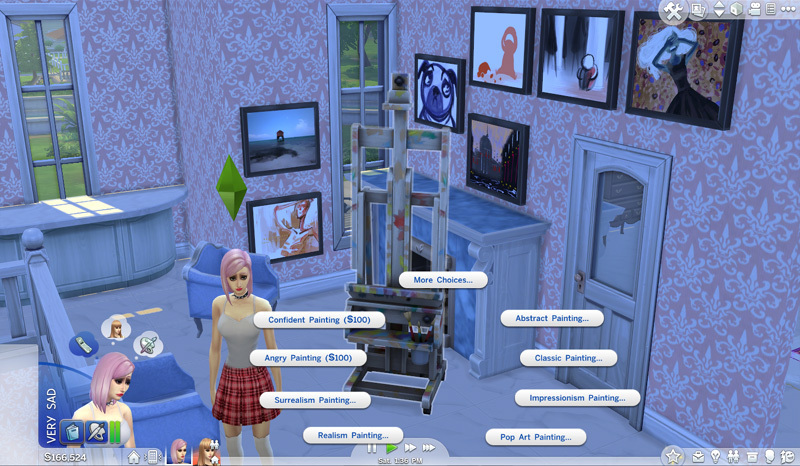 To view what a completed painting looks like while it is still a blank canvas: Pause the game, Scrap Painting. The completed painting will appear in your action queue list. Being in a certain mood will allow you to create emotion paintings. Unlike Writing, you do not need to raise your skill before you can paint them. 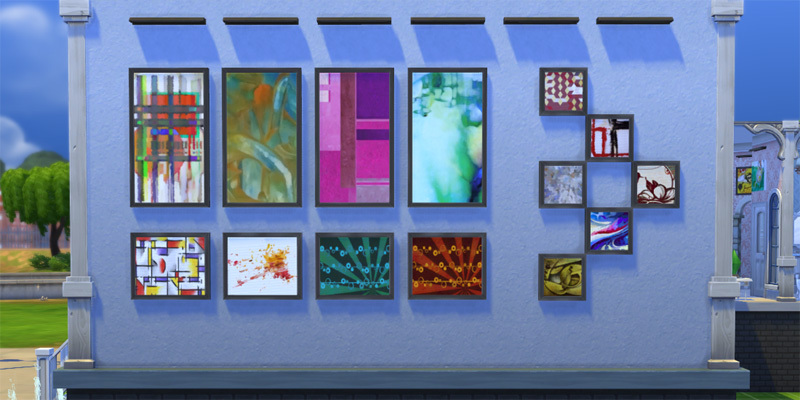 Like all emotional decor, Emotional Paintings will have an optional emotional aura. 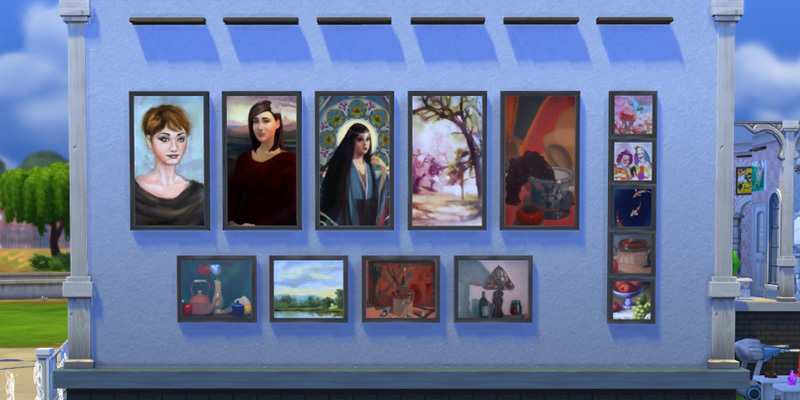 Paintings of Good and above also allow you to View Emotional Work (Only Okay paintings lack this, but Okay Mathematical Diagrams do allow you to View Focused Work). 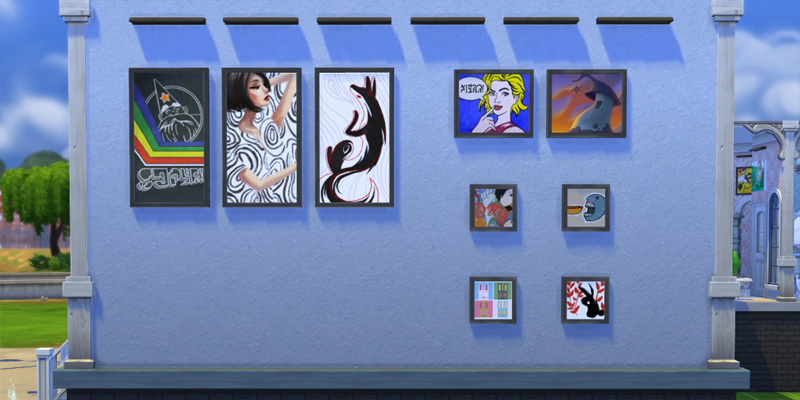 There’s a bug which allows you to complete multiple “Sell to…” requirements with a single painting. If you attempt to sell a masterpiece, a pop-up will appear asking if you wish to do so. Selecting “No” will let you keep your painting and fulfil the requirement. If you want the best easel, you have to take the Master of the Real branch.